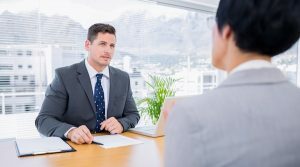 Interviewing Strategies — How to Choose the Best Candidate for the Job | Transformation Point, Inc.
It’s not easy finding the right employee. Even if you hire a job search firm, at some point it comes down to you and the candidate, and you may not be entirely sure you have asked all the right questions or fully understood the responses you were given. What does the job candidate mean when she says she wants a “challenging position with advancement potential”? That she is willing to work long hours and weekends to be promoted or that she is more interested in expanding her areas of expertise through cross-training? What does he mean when he says he prefers a solo rather than a team work environment? Is he uncomfortable in a group setting or does he function more productively when assigned a project but left to set his own parameters and process? As for that work/life balance issue, when the candidate says that is an important aspect to evaluate, what exactly does that mean and how does it fit with your company 9-5 environment? Each response will give you a sense of how well the potential employee will fit into your company “family.” But direct questions will only get you so far. You also want to allow time for a less inquisition-style interaction. When people relax and let down their guard, you can learn more about them, which might shed some light on their previous answers and correct any misperceptions you may have formed about them or prejudices that might be unfairly influencing your decision. As Rebecca Knight wrote in 7 Practical Ways to Reduce Bias in Your Hiring Process, “Unconscious racism, ageism, and sexism play a big role in whom we hire,” adding that job descriptions often provide an insight into a company’s culture — for good or ill. Having a standard set of questions that you ask all candidates can keep the process more objective, especially if you weed out words or phrases closely associated with a particular gender. Turn the tables and ask if the candidates have any questions for you, suggested this Jazz HR article, 8 Creative Interview Questions to Ask Potential Employees. The focus of the questions will give you insight into what the prospects consider important to them. For some it might be advancement opportunities while others might want details on benefits and perks. So you’ve completed the interviews and now it’s down to two choices: Candidate A and Candidate B. All things being equal, how do you know which one to choose? Just because someone has an innate ability in a specific area doesn’t mean he’ll be successful if hired for that role. Depending on the circumstance, it might be better to choose the candidate with more experience over one with potential. Tenure doesn’t always equal talent. Just because someone was in a position for a decade or more doesn’t mean he was necessarily good at that positon. He may have a stellar support staff or simply excels at avoiding anything that would highlight his weak areas. If you are conducting a follow-up interview to help make your decision, the following, from Barry Moltz’s article, Top 10 Interview Questions to Ask Prospective Employees, may help decide who will be the best fit. Ask how they will be able to contribute to the company. This will help you decide if their goals match those of the company. Present them with a problem that they would typically face in the first few months and ask how they would resolve it. This will provide you with a sense of their job-specific problem solving skills. Finally, expand your focus beyond the position you are trying to fill to gain an understanding into what drives and motivates each candidate. An employee is more than just someone who fulfills specified job requirements. Understanding who that person is after work hours can help illuminate strengths and assets that will benefit the corporation as a whole, even if not directly related to the position at hand. 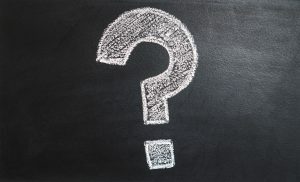 In Moltz’s article, two questions that can help elicit this information are “Why are you here?” and “What is your ideal job?” The first question will give you awareness into the candidate’s connection to the company’s mission. For instance, a person who responds, “I want to work at a company that supports community involvement” will be a good match if the corporation prizes giving back through company-sponsored initiatives. Asking about their idea of the perfect job will identify their passions and strengths, which can help you determine if they match what is needed for that specific position. What about their long-term plans? Someone who regularly takes courses or attends seminars related to their industry shows a commitment to her own professional development, noted Susan M. Heathfield in Best Interview Questions. Employees who are willing to invest time in developing and expanding their skillsets will ultimately bring more to the table—and the company. Reached a decision? Great! Now make sure your on-boarding process is one that will help the new-hire succeed so you don’t have to start the process all over again!